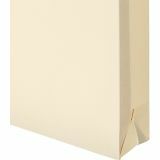 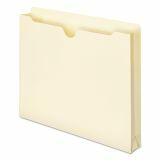 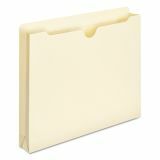 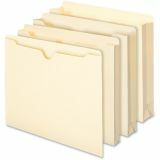 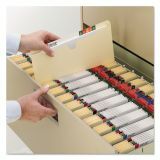 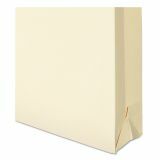 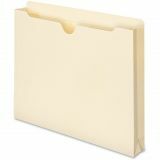 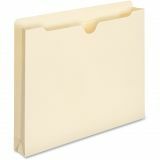 Smead Manila File Jackets, 1 1/2" Exp, Letter, 11 Point, Manila, 50/Box - Manila file jackets feature full-height gussets to keep materials from slipping out. 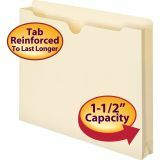 The 1/2 high, two-ply reinforced, straight-cut tab and thumb-cut design allow easy access. 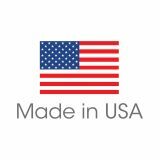 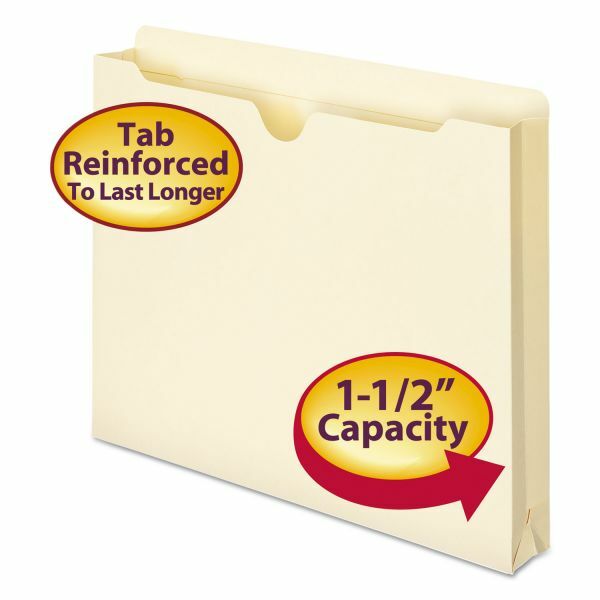 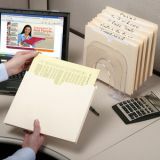 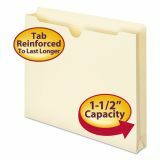 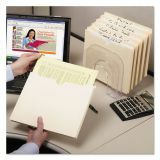 Letter-size file jackets expand 1-1/2" and are made of 11 point stock.